Yesteryear actress Rohini has instituted an award in the name of her husband-actor late Raghuvaran, who died in 2008. The award will be presented to best onscreen performers every year. Announcing the award, the actress said that Raghuvaran occupied an irreplaceable place in everyone's heart and in his memory, best actors and actresses would be honoured with Raghuvaran Awards every year. 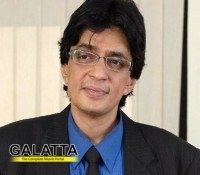 Besides, Rohini has plans to release Raghuvaran's English music album, which he completed just before his death. The album, consisting five English songs penned and composed by the late actor himself, will be launched on his this year's birthday (December 11).